Saves you time: an average size kitchen can be completely remodeled in less than a week! You are able to use your kitchen during installation! A complete step-by-step process of what our process for refacing is - so you know exactly what to expect! Answers to every question you can think of about refacing! Refacing is the choice for many homeowners. 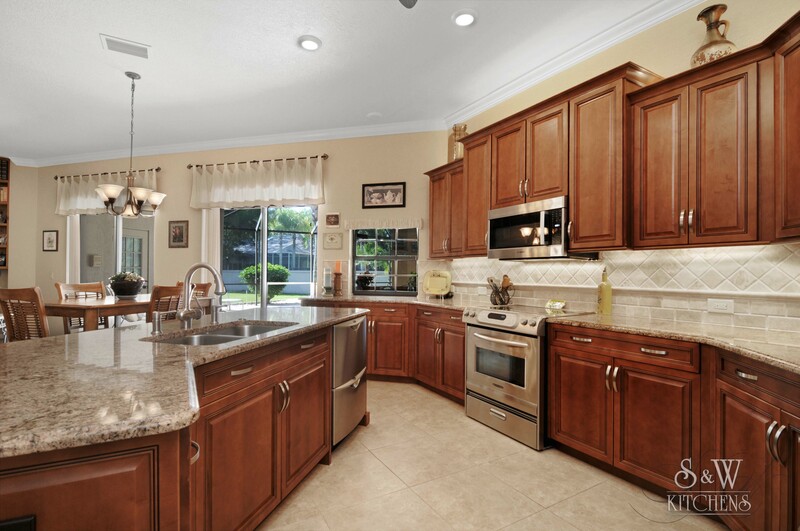 To judge whether cabinet refacing is the best choice for you, ask yourself these questions. Reface your kitchen and save money, time and the environment. Unless major layout changes are going to be made with your kitchen cabinets, refacing makes both ecological and economic sense. Decorative Specialties manufactures quality wood cabinet doors and has inexpensive simple solutions for your cabinet needs. When you select Holiday Cabinets, you gain peace-of-mind knowing that we continually review our product quality, from each component piece through our state-of-the-art finishing process. "Even though it's been a few months since the project was completed, I still find myself standing in the kitchen, examining all the elements and feeling really happy about the result. At night with the under-cabinet lighta and hanging globes dimmed, the room is so lovely and feels so comforting." "For the investment and options that are involved with remodeling and creating a new kitchen, your experience and creativeity helped us create our vision into a reality. You worked with us to stay within our budget which can be challenging when there are many options."